The longest day bulldogs on the beaches ! The main bulldog scene in the longest day ! THE LONGEST DAY ! Hi there readers I hope your all well, there’s much knowledge about the United States mascot being a bulldog and the fact Winston Churchill’s propaganda machine Used the bulldog in photo campaigns but not many know just how many actually landed on the beaches of France with the troops and this can be depicted in a film called the longest day. I grew up in the 80s I was born in 1978 so I had to watch films like the longest day and many other films of the time or earlier yet my parents were of a certain age so if it wasn’t John Wayne in a western it was him or other lead characters in war films “I think my mother had a soft spot for these actors Robert Mitcham was another that springs to mind ! So it’s ration war time England and as America’s troops and other allied forces were staying on the island of England waiting to invade they had plenty of time to mingle with the locals, some would of bought a pup others maybe given as a good luck charm (these were usually smuggled onto ships). Other pups would of been won in games of gambling. 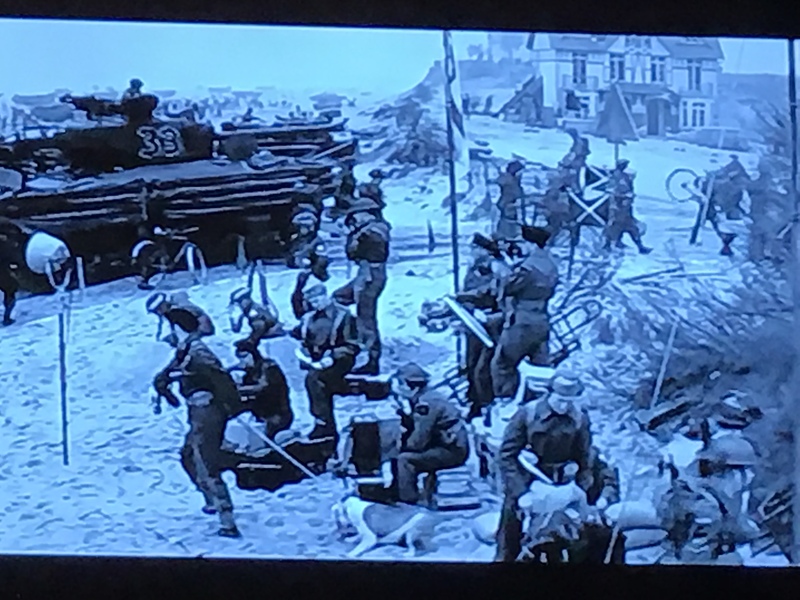 Its great that the director of the longest day uses research and adds a bulldog into the film  the bulldog is not portrayed as the other famous bulldog and just gets tugged along by one of the Scottish guards when a conversation strikes up as the beach is being bombarded, even though it’s fake the bulldog does not flinch with the explosions and only gets seen about four times I think just to prove a researched point. Theres not much research that ive found for this, I did find this you could look at after It’s the top 25 films with dogs in unfortunately there’s not many bulldogs in this list and I heard by a person on LinkedIn thats tied in with veterinary the world and a massive petition has started gaining traction trying to get all flat faced (her words) breeds off mainstream TV and in England we use dogs a lot especially in our adverts. Be proud of the Bulldog Breed ! The downfall to writing about bulldogs and not collecting is that so many stories revolve around the war, not only was this the Bulldog breeds high point in war torn England but many now forget what this breed has done for the English nation now it’s either political about the breeding ethics some say it’s wrong to breed the bulldog and others mock what they think is an ugly looking dog. Of course its unfair to think everyone would respect the breed or even been alive when a puppy spurt during WW2 happened but it would be nice if the breed got the respect it deserves, from Mack the bulldog that influenced a brand to Winston the bulldog and many others like him that portrayed bulldogs in France at the beginning of the allied invasion. 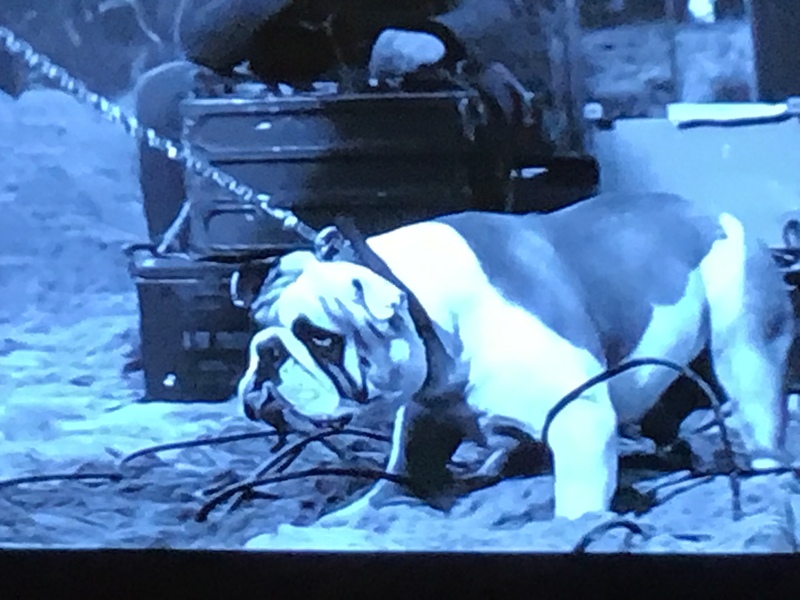 If you know any films where there’s true depiction of bulldogs in WW2 then please write in so we can research not just the film but the director too, many directors put snap shots of reality into films just like the bulldog in the the longest day there was only one bulldog and one scene but it said so much. Some may know of foreign films or films from your respected countries with bulldogs portrayed, many of the post cards sent home were made from either card or leather depicting bulldogs There’s a couple in our post card gallery and many from 1930s1940s please have a browse.